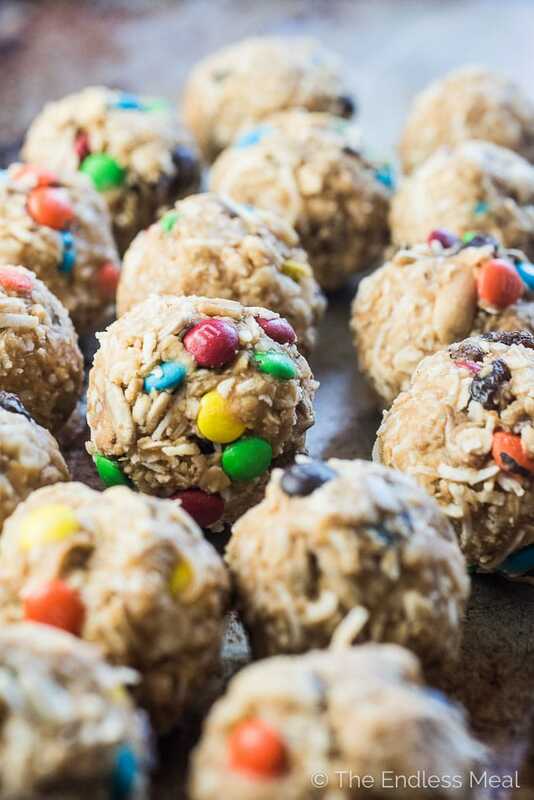 These easy to make Trail Mix Protein Bites make a delicious treat for your weekend adventures or a healthy after school snack. They are naturally gluten-free and can easily be made vegan. 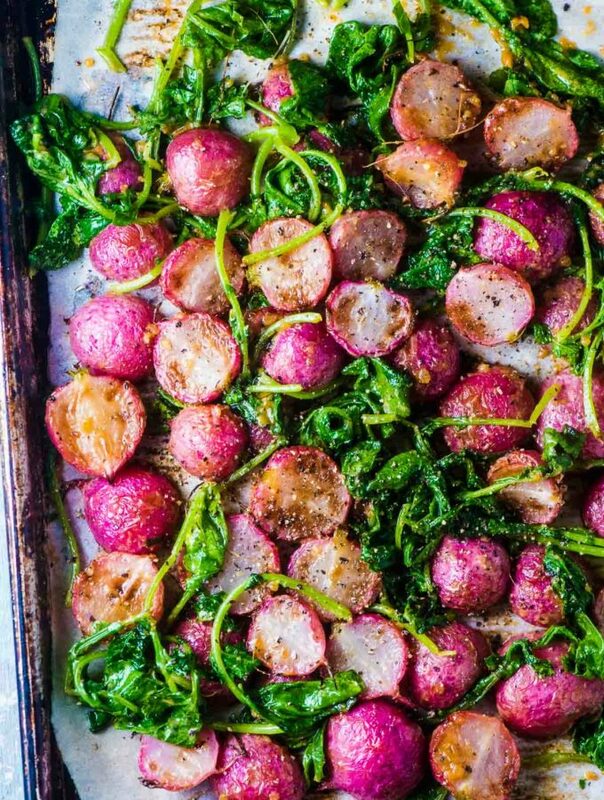 Everyone will LOVE this recipe! Meet my favorite new way to eat trail mix. See those see those mini M&M dotted balls right there? 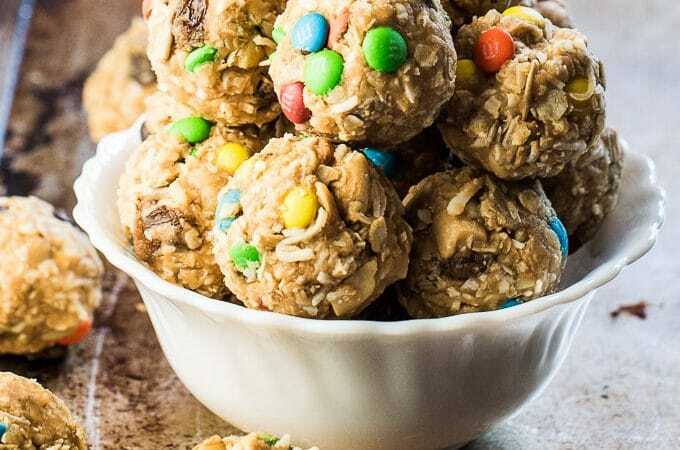 Those are what I call Trail Mix Protein Bites. Aaaand … they're amazing. If you're not sure you should believe me about the amazing part, scroll down to see the look on little Ava's face. It's a dead giveaway that these things are da bomb. 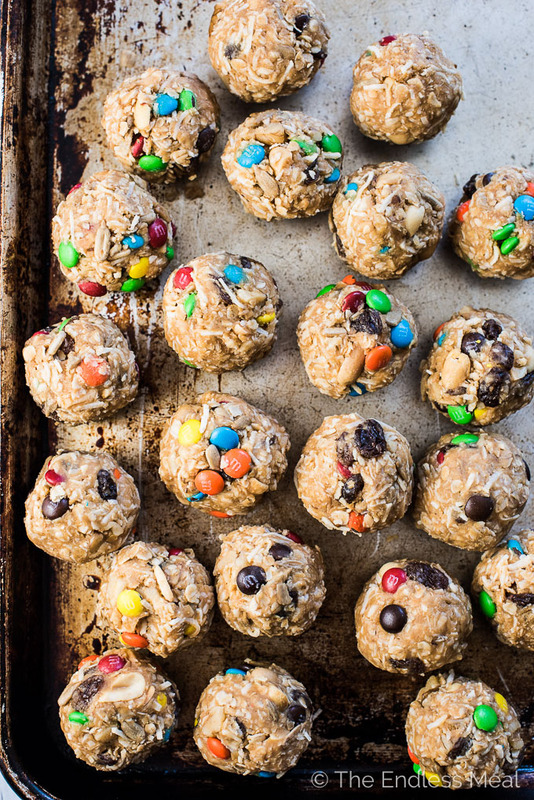 I've made them with all my fav trail mix treats that I love to snack on when we go hiking. And yes, there's M&Ms in here. And yes, I'm still calling them healthy. No chocolate = no trail mix. We've got to keep this realistic, yo. ? 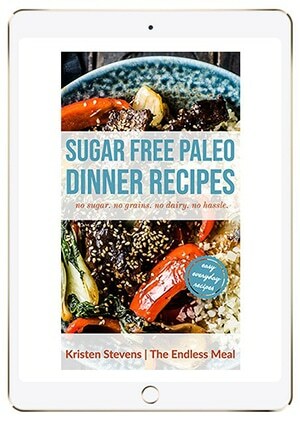 ♡ Grab a big mixing bowl and put all of the ingredients into it. 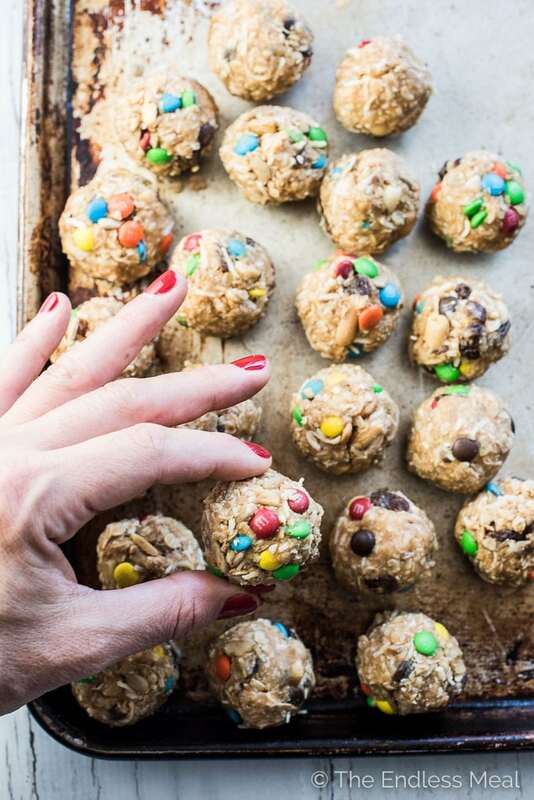 Mix them around until you have a trail mix-y dough. Tip: using your hands makes this WAY easier. ♡ Roll the dough into balls. ♡ That's it! I'm not even joking. They should really be called 2-step trail mix protein bites. 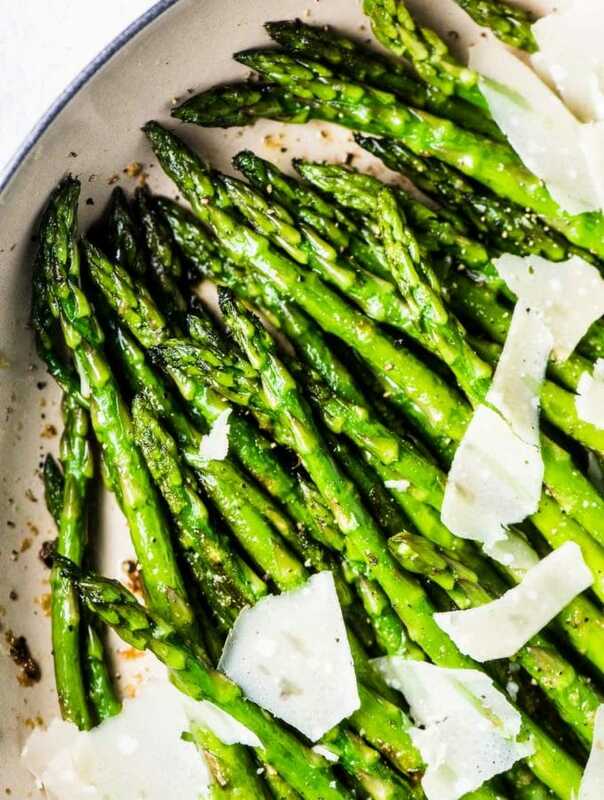 You can pop them into your fridge for a while if you'd like them to be more firm. Or you can leave them on your counter (covered!) and they'll be deliciously soft. They are amazing either way. 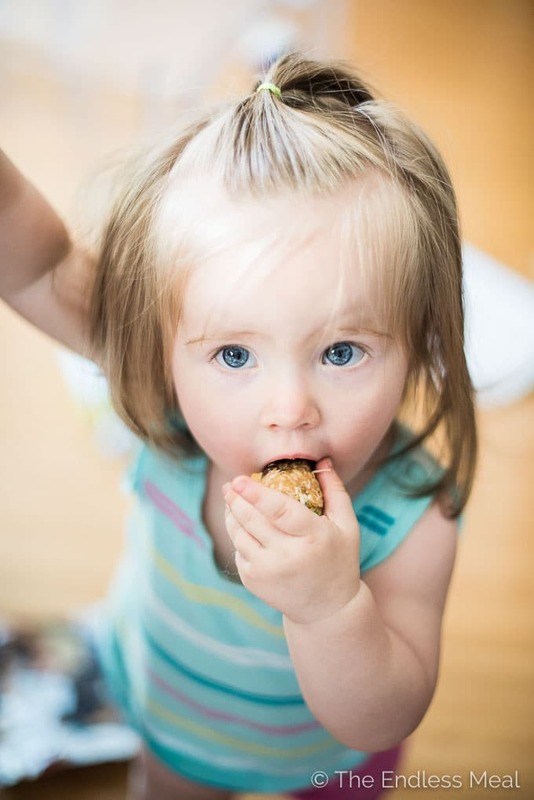 Little Ava looks a bit hesitant at first, but that post trail mix protein bites smiles gives it all away. Whatever you do, can you not look at the mess on my floor? It took me longer to clean her and the mess she made than it did for me to make the bites. ? That little face! How am I ever supposed to parent a little girl that cute? I'm serious. 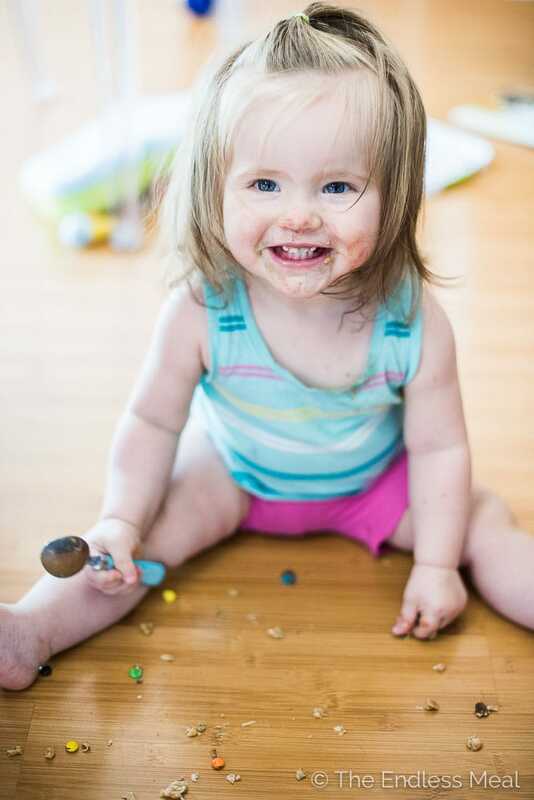 Just try imagining saying, “No, you can't have ALL the trail mix balls” to that smiling face. Impossible! Last year, I found out that Groupon now has a coupon site. They have coupons for all sorts of online stores from Nike to Barnes & Noble and Walmart to Best Buy. They also have a massive selection of back to school coupons. It's awesome! I'd list all of the coupons they have, but I'm off to shop for little Ava using one of their Old Navy coupons. Don't they make the best, cheap kids clothes? I love them! 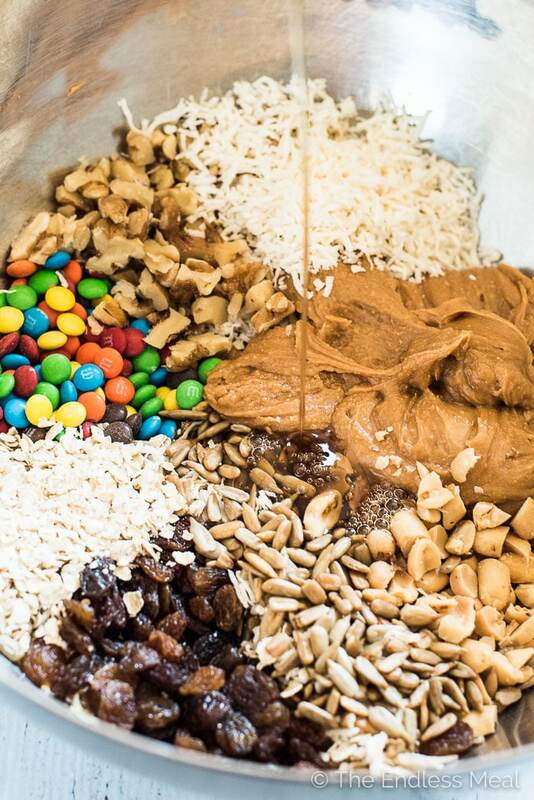 Place the oats, coconut, sunflower seeds, walnuts, peanuts or almonds, and the mini M&Ms in a large bowl. Add the peanut or almond butter and the maple syrup and mix everything together well. I find it easier to start mixing with a wooden spoon and then use my hands at the end. Once the dough comes together, form it into 22 balls. You'll need about 2 tablespoons per ball. Store in your fridge for firmer balls and covered on your counter for softer ones. These are the best little snacks! My kids went crazy for them too. I can see they’ll be in regular rotation once the kiddies get back to school. They really are, aren’t they? So happy your kids liked them, too!